As in fashion many trends come, as same they are coming in mobile industry. Everyday there is a new phone launch with different and innovative features and now people are liking new innovative features in smartphones. They want that their smartpone should be apart from all others. Yesterday LG electronics have launched its new G Flex smartphone with curved display and it is being said that the phone will go on sale in India in February 2014 and its price is around 60,000 to 65,000. Even though there is no confirmation yet for the final price of the phone. 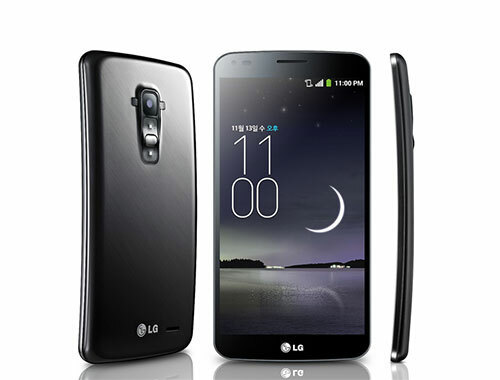 It is LG’s company first Flex curved display smartphone. The phone has POLED display which is ultra-thin and light and the resolution is 1280x720p. It has world’s first curved battery technology. The phone clocked at 2.26 GHz Snapdragon 800 quad core processor with Adreno 330 clocked at 450MHz for graphics. It has 2 GB of RAM and 32 GB of storage. The curved phone runs on Android 4.2.2 version of Jelly Bean and has 13 mp rear camera with 2.1 mp front one.